Remember The Evil Within? It was one of 2014’s horror instalments on the relatively new PS4, and it wasn’t quite as good as it promised to be. The early hours were fine – great, even – but it rapidly descended into a sluggish, action-overloaded mess that left a bit of a bitter taste in everybody’s collective mouth. Shocker: its sequel, the aptly named The Evil Within 2, is absolutely stellar. It’s exciting, challenging, and brimming with supplementary content to the main storyline. In fact, our very own head honcho Jimmy reviewed it when it released – he was as big a fan as I now am. I’ll have to admit that I’m a bit late to the game on this one (ha, get it?). I absolutely love horror; whether it’s films, games, books – any kind of scary media and I’m there. So for whatever reason, I foolishly passed up on The Evil Within 2 on release. If anything, I’d put this down to my feelings about the first game; I didn’t expect much from a sequel with seemingly minimal advertising and a lot to apologise for. Well colour me impressed, then, because I’m now roughly seven hours into Tango Gameworks’ horror extravaganza, and it may well be one of the scariest, most brilliant sequels I’ve ever had the pleasure to delve in to. Just a quick catch-up: The Evil Within 2 takes place in the insidious town of Union; a not-so-real location that’s filled with undeniably dangerous monstrosities. It’s hard to properly wrap your head around the game’s setting, but Union is essentially a town constructed entirely within the STEM system – a machine that’s powered (I think) by an incredibly strong catalyst. In this case, that catalyst, or ‘core’, is protagonist Sebastian Castellanos’ daughter; a daughter he presumed dead years prior, when she was consumed by a house fire. It’s all very melodramatic, and merely a backdrop to the frightening ghost train you’ll embark on. The horror kicks off from the get-go, as the first hour or so is primarily that: a ghost train. 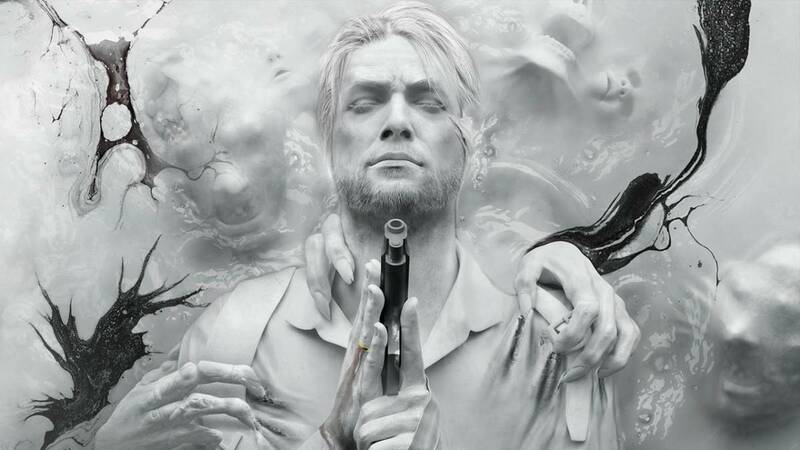 Tumbling through the troubled mind of our alcoholic anti-hero, it’s hard to not get deeply immersed in The Evil Within 2’s amazing sense of style and design. Dank corridors seem to trail on forever, and a flickering light at the very end heightens the sense that somebody is creeping up behind you whenever there’s a bump in the dark. You won’t engage in much combat for a while, because the game seems more interested in scaring the hell out of you with its many nightmarish creations. An early beastie, for example, is a multi-headed, screeching demon woman whose body is comprised of several decaying limbs – the usual. Even the way this monster is introduced is evocative of classic horror tropes, and the developers clearly have a great respect for the genre. After you do begin the game properly, you’ll soon realise the key influences that provide the driving force behind the meticulously designed experience. For me, it was impossible to not see heapings of Resident Evil behind several decisions. This makes sense, considering Shinji Mikami directed the first Evil Within, and he was also the director behind the iconic Resident Evil 4. Even Sebastian Castellanos seems to have glimmers of one-liner spouting Leon S. Kennedy. His dialogue is as clunky as the movements of the game’s many zombie creatures, but it’s hard to not smile when he throws out an inappropriately timed wisecrack after a challenging fight. It’s not just setting and character that make this an incredible horror title, however. The game’s many aforementioned enemies are genuinely scary – something hard to achieve with such an interactive medium. Whether it’s the tough-as-nails grunts that shamble around the streets, or the far more imposing mini bosses littered around Union – The Evil Within 2 is full of challenging, pulse-racing fights. The game seems to trick you, at first, into believing that enemies will slowly shuffle after Sebastian in pursuit of fresh meat. When you alert them, though, they’ll be charging faster than a bull at a matador. This makes combat a delicate balance of stealth and conservation; it’s not impossible to take enemies down with guns, but it’s surprisingly easy to become overwhelmed. The truth is that I was completely wrong in my assumptions about this game. Its open-world style of exploration is a refreshing twist, and the psychological nature of the scares means that you’re never sure whether a door will lead to another corridor, or a spiralling pit of despair and chaos. I absolutely love The Evil Within 2, and if you give it a shot, then I’m sure you will, too.